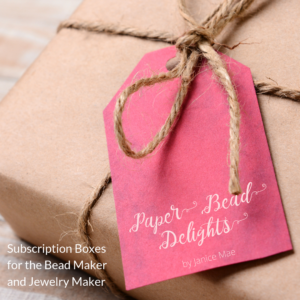 I’ve made so many prayer boxes jewelry at one time but never made one with paper beads. 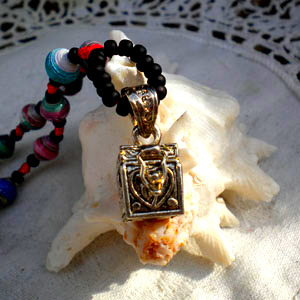 I normally just hang the little prayer box as a pendant or as a charm with nothing in it. 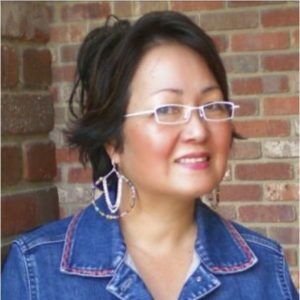 This time, I thought of putting a little strip of paper with a prayer, or a saying or a wish for someone you are giving it to, making it a real prayer box. 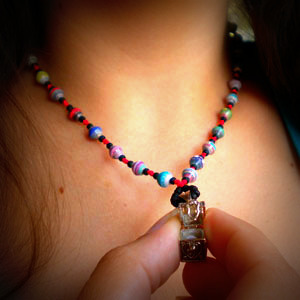 I then, hand knotted each paper bead for the rest of the prayer box necklace. 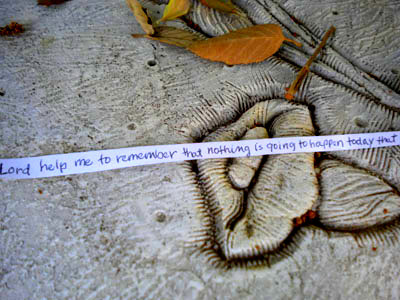 What is fun about this project is writing little notes into a strip of triangle paper and rolling it into a bead. Now, you always have that prayer or wish close to your heart. 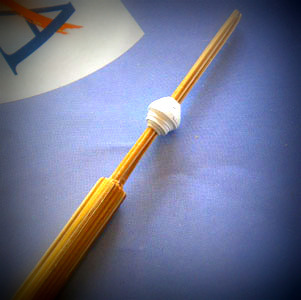 Using the bamboo roller, I rolled it into a bead, small enough to fit into the prayer box. 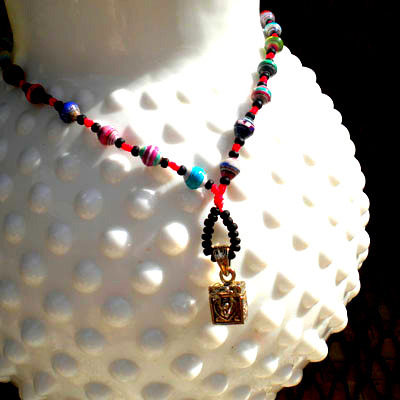 It is a cool kind piece of jewelry, don’t you think? 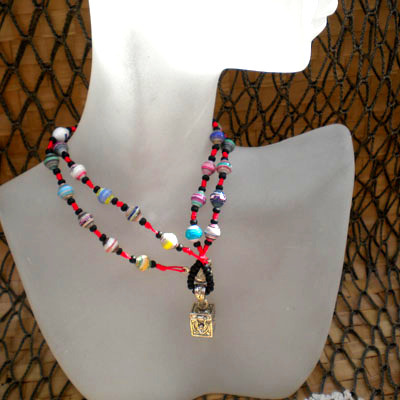 It looks nice by itself or layered with another paper bead jewelry. 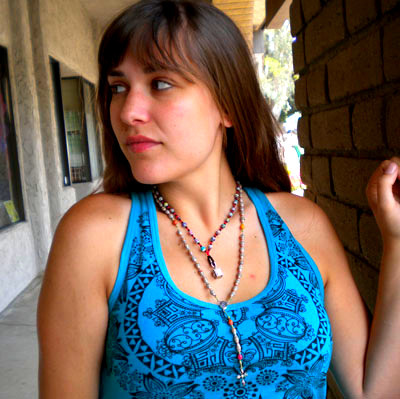 I have made rosaries with paper beads as well, this will be in future posts, like what Kayla is wearing above. 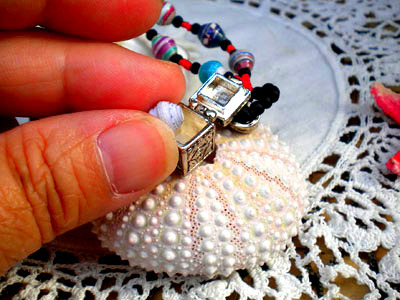 I love the little prayer box that can also hold mementos from some special time….